The Meltech Company has become one of the first UK engineering companies to become certified as meeting the new international Quality Management Standard ISO9001:2015. The independent assessment was conducted by the leading Certification Body, the British Assessment Bureau and firmly establishes Meltech as a leading player in its field for customer service and quality in delivery. 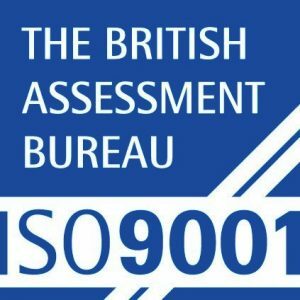 The ISO9001 standard requires organisations to demonstrate that they have quality management systems in place that ensure consistency and improvement, assuring customer of high levels of performance and satisfaction. Certified organisations are committed to continuous improvement and are assessed annually to ensure progress is being maintained. The Meltech Company specialises in the design and supply of innovative engineering for the processing and handling of metals and plastics. The company’s Strongform™ Continuous Rotary Extrusion machinery is a new game-changing technology in the production of copper and aluminium profiles used in a broad range of power, automotive, rail and industrial applications. The company is also a leading supplier to the global wire and cable industry of high performance handling equipment ranging from precision coiling for 0.1mm medical wire to 400mm heavy-duty cable machinery. The Meltech Company is a specialist design and engineering company based in Blackburn, Lancashire UK. It supplies and services customer worldwide with advanced Continuous Rotary Extrusion (CRE) machinery, wire and cable handling machinery and strand annealing furnaces. The company prides itself on working collaboratively with customers to provide machine solutions that fully optimise their operational performance. Meltech also offers its customers lifetime support with machine servicing, tooling and spares to ensure continued process optimisation.